Passport is your ticket to carefree and reliable cargo hauling that's easy on your wallet. It's a perfect fit for recreational and light duty applications. 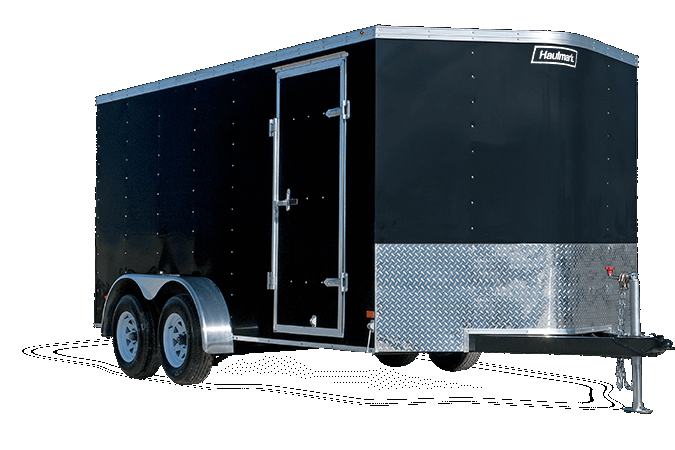 Although classified as an "entry level" trailer, the Passport is loaded with quality features found on much more expensive trailers -- features like tubular steel main rails, one-piece aluminum roofing, 3/4" DryMax High Performance interior flooring and 24" Starbright Stoneguard. The standard V-Nose is not only stylish, but also improves handling and MPG. Whether you're moving a child off to college or protecting those garage sale bargains . . . count on Passport to deliver your valuables safe and secure to your final destination. Please enter your contact information and a representative from S & S Trailer Sales Inc will contact you. Copyright ®2016 Haulmark. All Rights Reserved.